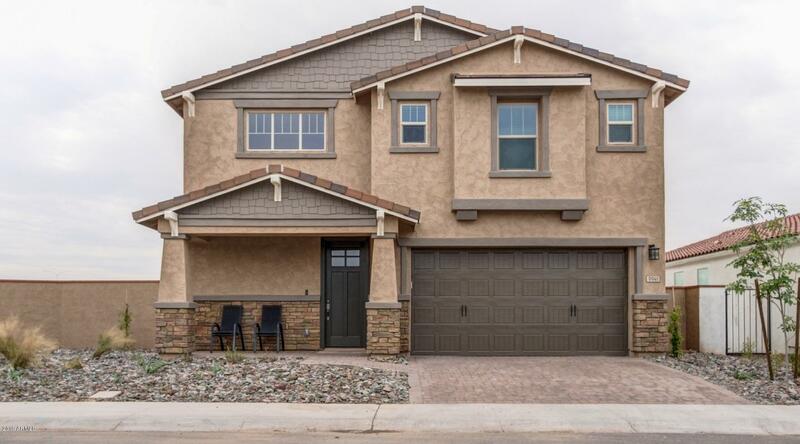 All EASTMARK DU-3 SOUTH PARCE homes currently listed for sale in Mesa as of 04/23/2019 are shown below. You can change the search criteria at any time by pressing the 'Change Search' button below. "Brand new energy efficient home ready NOW!!! 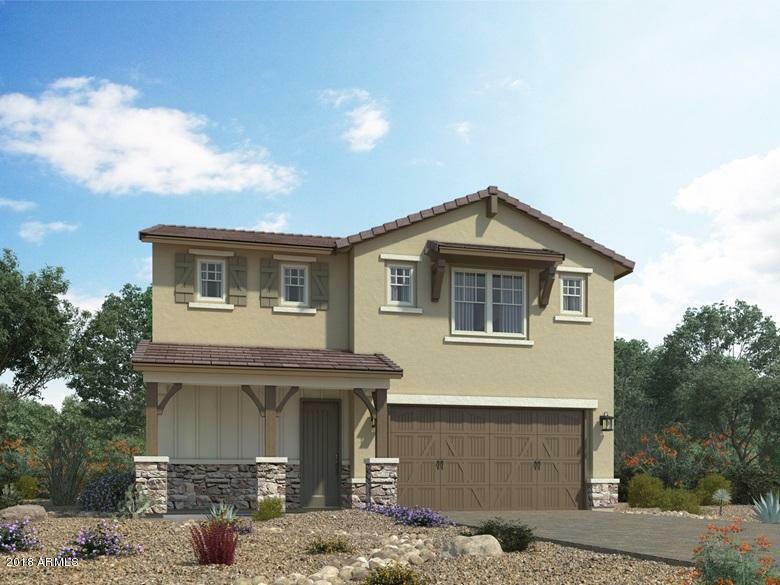 Thunder Basin stunning two story home, with four bedrooms, 3 bathrooms and game room upstairs, is sure to be the envy of the neighborhood. Downstairs fifth bedroom and full bath in lieu of den and powder room. Wonderful gated Innovation Park at Eastmark community with amenities like splash pad, community center, pool, basketball courts, multiple shaded parks and turf. ''Great Park'' with open space, lake, ramada, Palm Plaza and event Pavilion, climbin"
"Welcome home to Eastmark, one of the most desired new communities! The open great room and kitchen are an entertainer's dream and gathering place, boasting large island/breakfast bar, stainless appliances, and pantry. Upstairs, the loft makes a great media or play room. The tranquil master suite offers large bath w/ dual sinks, garden tub & separate shower, and walk-in closet. Addt'l bedrooms and den are generously sized and offer flexibility. Expansive backyard with covered patio is ready for y"
"Brand NEW energy-efficient home ready July-August 2019! Sierra Plus features include a 'zero-transition' concrete patio flushed with interior flooring. Also includes multi- slide glass doors at master bedroom & great room, a bi-fold window at kitchen & bar top. Gather with friends and neighbors in oneof the many neighborhood parks or civic areas spread throughout the Eastmark gated master planned community. 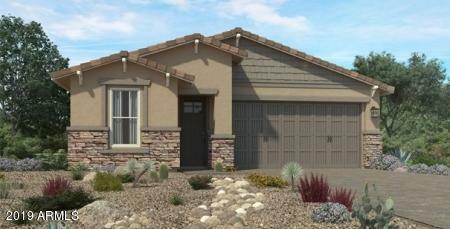 Outdoor enthusiasts will love living justminutes from the Superstition Mountains as well "
"Brand new energy efficient home ready NOW!!! The Hitchcock lives large with great room, den & upstairs game rm. Ideal home for quality family time while allowing for personal space. Add-on features include 'zero-transition' concrete patio that's flush with interior flooring, + multi- slide glass doors at great room. Wonderful gated Innovation Park at Eastmark community with amenities like splash pad, community center, pool, basketball courts, multiple shaded parks and turf. ''Great Park'' w open"
"Brand NEW energy-efficient home ready June-July 2019! Charming single-story Astaire home will immediately have you dancing for joy. Theporch-to-foyer entry starts with the private study for working from home, then opens up into the gourmet kitchen. 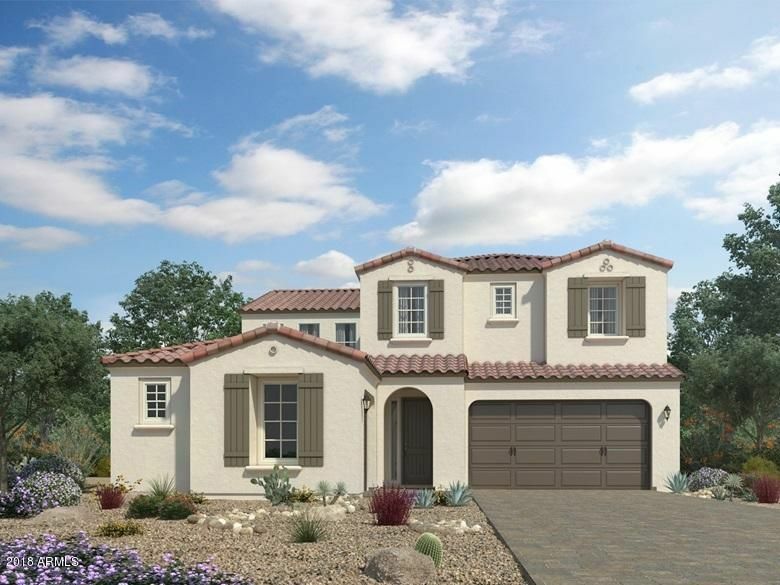 Gather with friends and neighbors in oneof the many neighborhood parks or civic areas spread throughout the Eastmark gated master planned community. 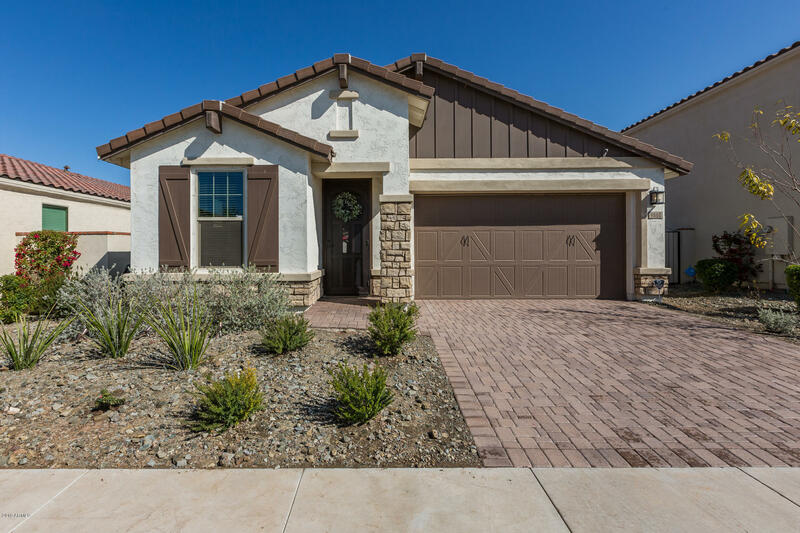 Outdoor enthusiasts will love living justminutes from the Superstition Mountains as well as nearby bik"
"Step into this beautiful 3 bedroom 2 bath retreat that lies within the private gated community of Eastmark's Innovation Park. This prestigious neighborhood has access to all of Eastmark's famed amenities but with its own exclusive flair. 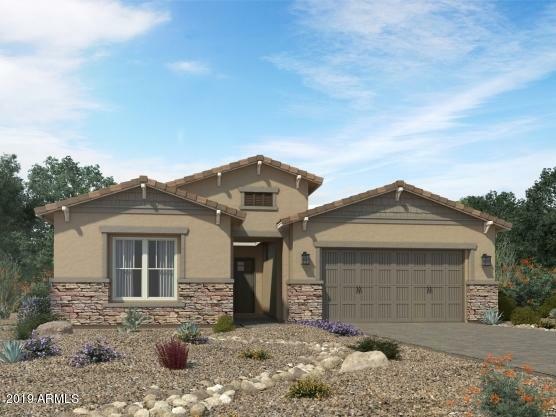 This Meritage-Bacall floor plan steals the show with an open concept living area, private study, gourmet kitchen with granite counters and stainless steel appliances. Your spacious owners suite, shower, soaking tub, and walk-in closet set this floor plan a step"